Whether you want to learn about the latest data breaches or how to protect your privacy on social media, you have come to the right place. Click on the boxes below to view our Data Breach Report, the ITRC Blog, information on privacy, scam information and alerts, and our past surveys and studies. 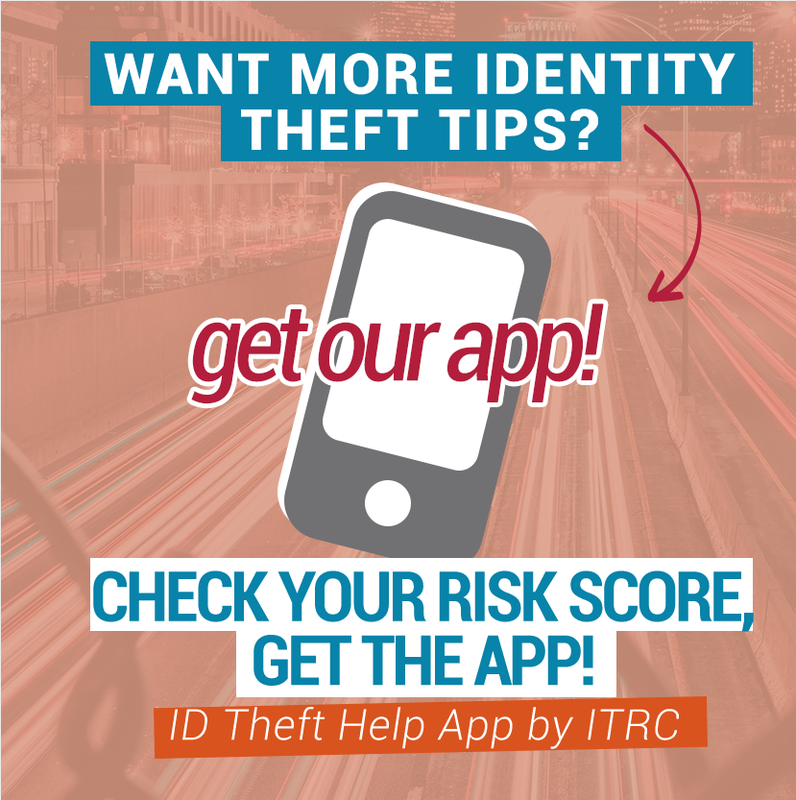 Of course, if you have any questions about the information, think you may have been affected by one of these issues or want to learn more, you can call and speak to an Identity Theft Information Specialist for free at 888.400.5530. You can also send us an email or LiveChat with us. If you are a victim of identity theft, or think you may be, visit our victim assistance page. Remember that no matter your problem or concern, we are here to help. Please do not hesitate to call us Toll-Free at 888.400.5530 to speak with an Identity Theft Information Specialist for free assistance. You can also reach us through live chat or via email.